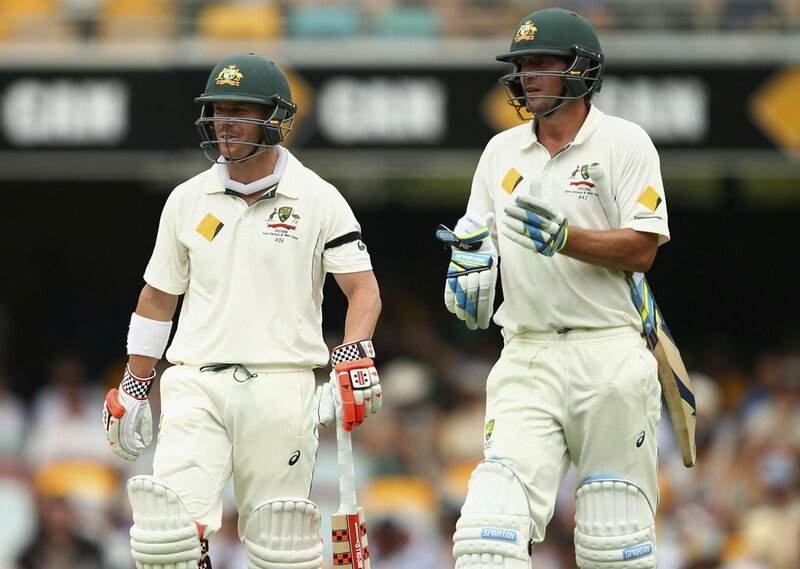 Some fuller-figured men like to flaunt their curves, but David Warner has chosen to cover up with this loose-fitting, subdued white ensemble and green protective helmet. Little did he know that opening partner Joe Burns would be rocking the same look! 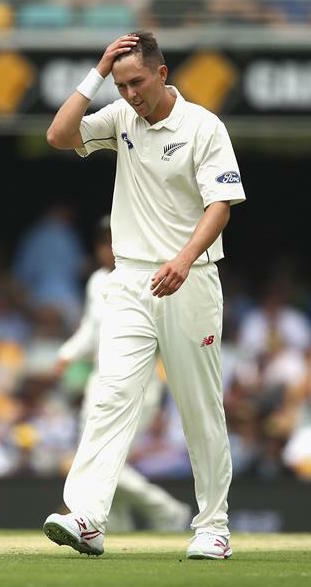 Joe owns the look with his trademark pastel blue cricket accessories, so we're going to award this innings to him. As if dismal first day figures of 0 for 90 and 1 for 63 weren't enough, pace duo Trent Boult and Tim Southee also had to contend with the pain of wearing awkwardly similar outfits. Both have the same unfussy style, right down to their short hair and natural makeup, and look super great in this casual white two-piece. But Tim's edgy bright orange pumps bring new season sensibilities to a classic cricket look. 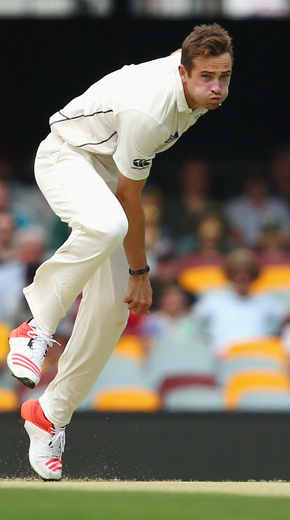 White doesn't look good on everyone, but wow does it work for both BJ Watling and Ross Taylor. BJ tries to take the look beyond the everyday with gigantic wicketkeeping gloves, but it comes off as a blunder. Some delicate lace gloves or a simple gold bracelet would have been more appropriate. 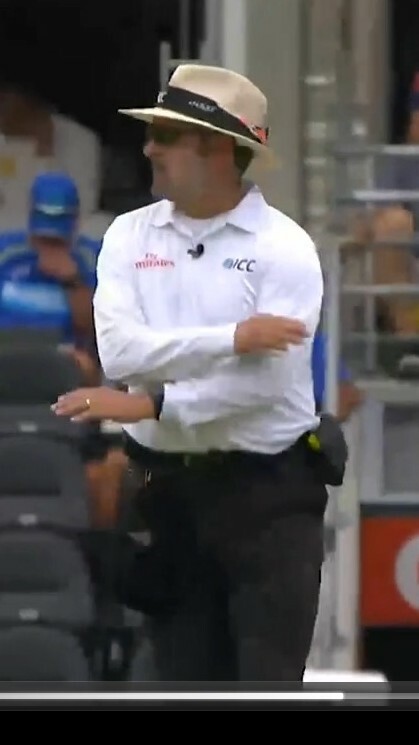 Umpire Richard Illingworth had a great idea for a quirky look - wearing Kiwi off spinner Mark Craig's cap on his belt. But in a freak fashion accident, fellow umpire Nigel Llong also wore Mark Craig's cap on his belt! Embarrassment aside, Richard still gets the nod from us, thanks to his form-flattering white undershirt. What do you think? Share your opinion on who wore it best: #cricketfashion on Facebook or Twitter. Which was the best Grand Final of all time? It’s a good question - and one that’s pretty hard to answer, unless you’ve seen them all, which no one has. Writing a Buzzfeed article is a serious responsibility. We're as surprised as you are!